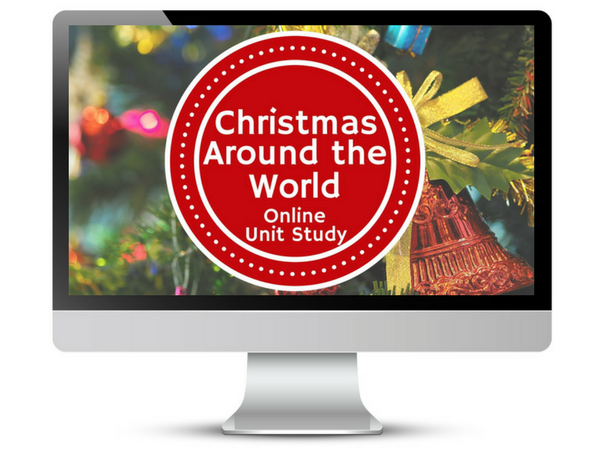 December is a great time of year to sneak in some geography studies as you and your children learn how people celebrate Christmas around the world. In this post, I will suggest projects and activities for all ages to help your family learn about the Christmas traditions of other cultures. Instead of using ready-made printables, use this opportunity to teach your children to do research and to share their research. This will teach them more skills AND they will remember much more of what they learn. At the outset, you will need to decide how much time you want to spend on this and which countries to cover. You could do one a day, or one a week. Or you could set aside one day to study Christmas Around the World in-depth. Once you know how much time you want to spend, you will know how many countries you can study and how long you can spend on each. Then you need to come up the countries. You could select one from each continent (Canada, Brazil, South Africa, Germany, South Korea, and Australia for example). Or you could brainstorm with your children and come up with a list. For even more fun, make it a surprise. If you have a large world map, an atlas or a globe, blindfold a child, spin them around and let them put their finger on a country. Then investigate what Christmas is like there. Most countries in the world will celebrate Christmas to some degree, even if Christianity isn’t the dominant religion, but if you do select a country which doesn’t celebrate it at all, see what other festivals fall in December in that country. Public libraries (and perhaps your church has a library) are great starting places. If you know people living in the country, get one of your children to email them. Go to Youtube and search “Christmas in (country)”. Of course, you can also do an internet search using phrases like “Christmas traditions in (country)”. And don’t forget Pinterest! It will contain a wealth of ideas. The activities and projects you do to teach your children about Christmas Around the World will depend on their age and the sorts of things you enjoy doing as a family. If you have a number of children who will participate you could give each child a different activity to work on and then you can come together and each child can use their project to teach the rest of the family. Research traditional Christmas food for the country, locate a recipe, bake / cook the food. Then eat it!! Write a Christmas play set in that country – and perform it! If all these ideas sound great but you would rather it is all laid out for you, consider buying an online unit study from Techie Homeschool Mom. You can wrap up your studies by comparing and contrasting the different countries you have studied. Brainstorming with your children how best to do this will be a valuable experience! Some suggestions: tables, charts, Venn diagrams. I would love to see your children’s creations. See my bio below for where to connect with me! Meryl van der Merwe homeschooled her 4 children and during that time started teaching at the local homeschool co-op. She still teaches there – as well as online at FundaFunda Academy. Meryl also hosts the Homeschooling with Technology podcast. In her spare time, she loves reading and traveling. Follow her on Facebook, Pinterest and Instagram. Great ideas! I will be doing this with my son during winter break. He loves to keep busy and do crafts.